Breakfast pick you up to visit the biggeste open temple in the world which called Karnk temple with the the Hypostyle Hall with it's 134 gigantic columns then visit the Luxor temple then around 1:00 pm the cruis board.Sail to Esna. 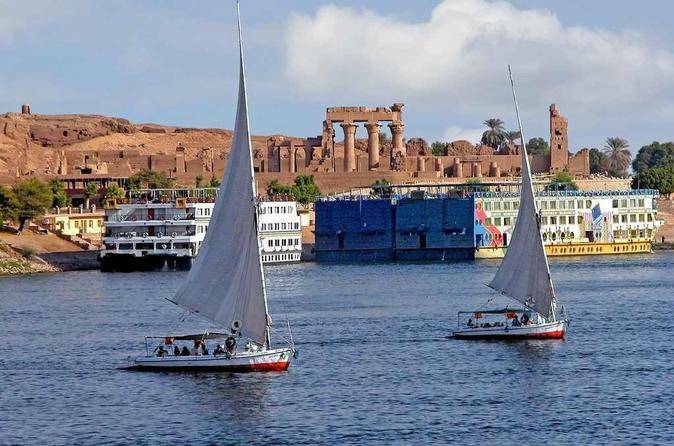 Breakfast on board and Sail to Aswan arrival Aswan then Visit the High Dam, the Temple of Philae Lunch on board. Sail on the Nile by felucca around Kitchener's Island and AghaKhan Mausoleum. Afternoon Tea. Dinner on board.